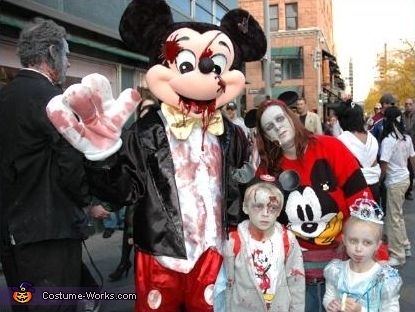 Meet a lovely family who became infected as Zombies while on Holiday at Disney World. Brack as Mickey, and Mom, Beth. Up front and looking hungry we have son Liam, and daughter Aida. Poor Micky Mouse was attacked while greeting the sweet little children.... right after they had devoured their Mom.